Below are the complete set of skin care products for men that I recently received from Yves Rocher for reviews. My hubby and his grandson are the ones using them. 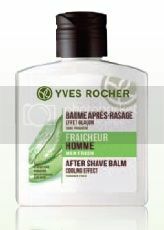 They are a new skin care line from Yves Rocher especially made for men. All of these Men Fresh products were formulated with organic aloe vera for exceptional moisturizing and protecting properties and an instant feeling of freshness. Yves Rocher is the creator of botanical beauty. Yves Rocher's Botanical Beauty is a unique beauty experience that offers greater performance, enjoyment and respect. This body and shower gel has a masculine fragrance for an instant feeling of freshness. It also has a neutral pH. Its botanical ingredients include botanical cleansing base and organic aloe vera gel. My hubby likes the smell of it. According to him, it has a nice fragrance. His grandson said, it cleans really well. 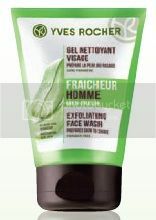 The exfoliating face wash contains bamboo micro beads that help prepare skin for shaving and unclog pores. Botanical ingredients include botanical cleansing base, organic aloe vera gel, organic chamomile water and bamboo micro beads. My step grandson likes the fact that he did not have breakouts after using it. The shaving gel softens the beard for a close shave and a smooth glide. Its botanical ingredients include organic aloe vera gel and botanical glycerin. Although my step grandson did not like the smell of it because he thought it smelled like "an old man cologne business like smell" that he wouldn't want to use when going on a date. I smelled it and I liked it and so does my hubby. Actually, it is the kind of fragrance that I want my hubby to wear in bed :-). Otherwise, my step grandson likes it because it did not cause him any skin irritations. It also gave him a nice close shave. This after shave balm provides a cooling effect while soothing and hydrating the skin after every shave. Its botanical ingredients are organic aloe vera gel, organic chamomile water and organic shea butter. My step grandson likes the smell of it because it almost doesn't have fragrance at all. That way it won't clash to his cologne. The anti dryness face care fights dryness and leaves skin supple, soft and comfortable all day long. Morning is the ideal time of the day to use it. The botanical ingredients for this product are organic aloe vera, organic blue agave sap, organic Chamomile water and organic Shea butter. My step grandson likes this a lot. According to him his face feels smooth and he did not suffer from any skin irritation which is very important to him. 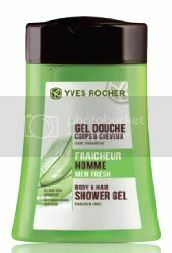 If you want to give these skin care products for men a try, you can check them out on Yves Rocher website or on Facebook.